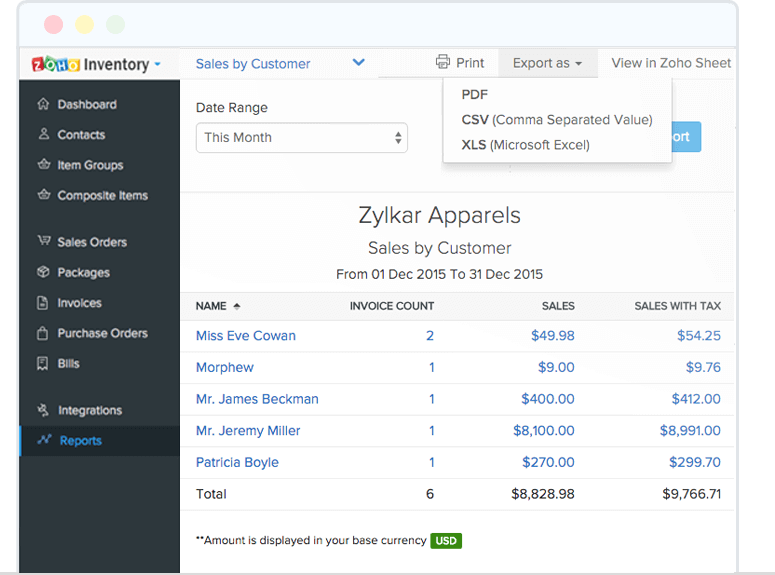 Analyze reports for better insights with Zoho Inventory. 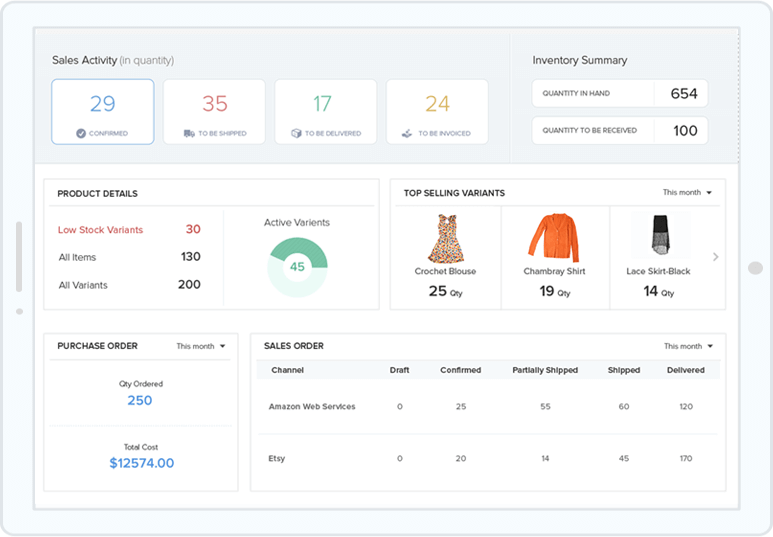 Analyze different reports to study the sales trend, best performing item and even more with simple yet accurate inventory reporting options. Get instant visibility into your business at a glance. Get details about unresolved tasks, important notifications, and the overall health of your business. Know your best selling products with the sales reports. Also, get details about your best customers and their payment history. Get notified when items run low on stock and need to be re-stocked. Know when items will be received and details about outstanding payments. 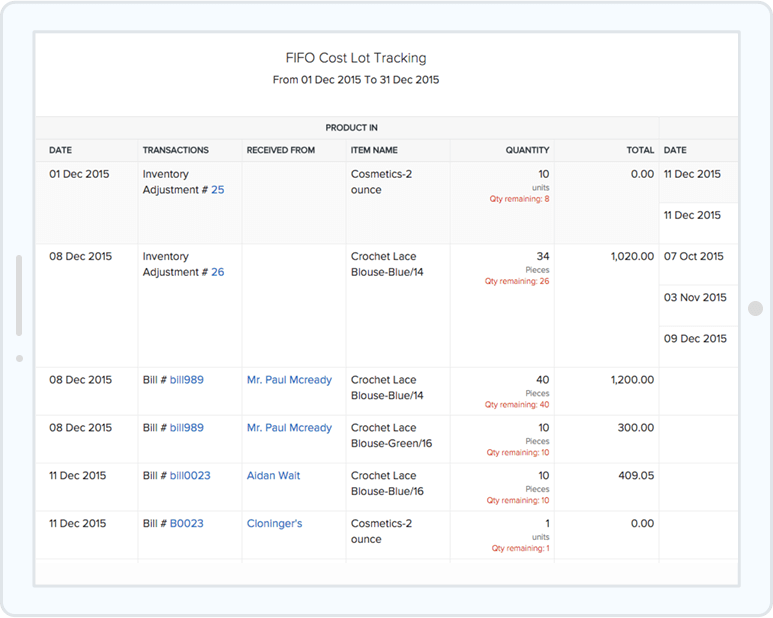 Zoho Inventory uses the FIFO method to valuate the stock. Each and every item in your inventory is accounted for, whether it is coming in or going out. Export your reports to CSV, XLS or PDF files at a click.